26-3/4in x 76-3/4in. This tree could be just the right sizefor smaller homes. Roll it up for easy storage. 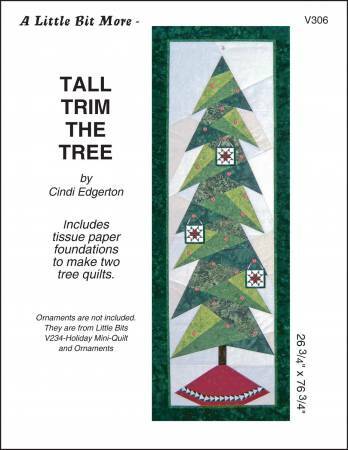 Embellish with buttons to hang favorite ornaments.Includes tissue paper foundations to make two trees.